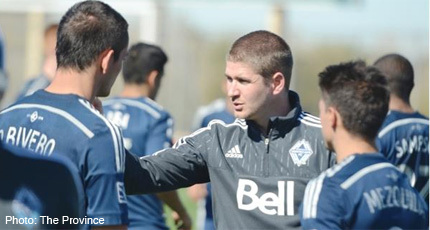 I published an article at the end of last season posing the question: Are the 2014 building blocks enough for the Whitecaps moving forward? 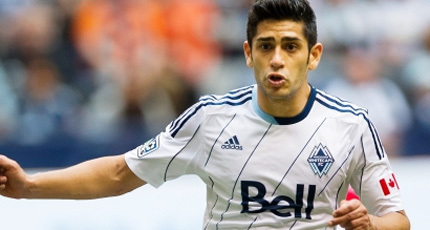 Vancouver had a very quiet offseason and although they added new players to the roster their impact does not compare to the move for Morales last season, which puts more pressure on him and others on a team that barely made the playoffs in 2014. I do have the Whitecaps in a similar predicament as last year - fighting for a playoff spot in 2015, and many of the same issues remain despite some long term prospects to look forward to. 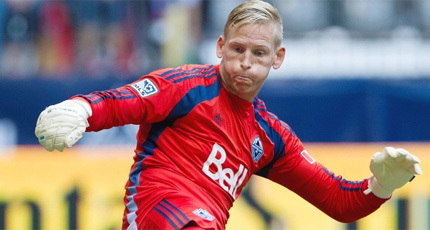 David Outsted, as expected, was a solid everyday goalkeeper for the Whitecaps in 2014. His goals against average and save percentage were two of the better numbers in the league and his 13 clean sheets led the league. In 2014 Outsted had few performances where he outright won Vancouver games or points, but in games where the whole team played well he did his job in maintaining the win. I expect the Whitecaps to struggle with offense this season as well so Outsted will need to maintain this quality or even improve if Vancouver are going to make the playoffs. The club expects Outsted to be the everyday goalkeeper as well with no change in goalkeeping depth with Paolo Tornaghi who has now played eight pro games in four seasons and Canadian Homegrown contracted Marco Carducci as the backups. Much is expected long term from Carducci so the Whitecaps USL team will give him the games to develop but he still three or four years away until he challenges for the number one spot. Vancouver received consistent performances out of their two fullbacks last season in right back Steven Beitashour and left back Jordan Harvey and the same will be expected out of them this season. Beitashour’s offensive involvement could be questioned, especially compared to the stats he generated with San Jose, with only half the shots and key passes in 2015 compared to 2014. However, his build up was good converting almost 80% of his passes. Harvey was an asset scoring two goals and also took attempts on net when given the chance, especially on set plays and played a role in helping to generate offense. Harvey's tackling came in to question in certain situations so more will be expected defensively this season. The depth at fullback is talented but I have question regarding them. Christian Dean who was drafted 2nd Overall in the 2014 MLS Superdraft played only 123 minutes in 2014 and he still needs to prove he is capable of playing at the MLS level at either full back or centre back. Homegrown signing Sam Adekugbe played well in his limited minutes last season, including almost perfect in his passing rate, although still needs further development and both him and Dean are expected to play more games with the USL club then the first team. 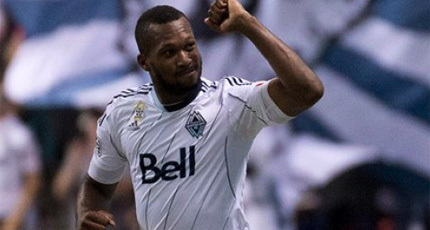 There has been plenty of hype attached to Kendall Waston since he first signed with the Whitecaps and I've read of even some seeing him as potentially the top defender in the league. His 6'5 frame leads to excitement and the fact he scored 2 goals in his first 10 games, even used as a last resource upfront, leads to high expectations for the 27 year old this season. There are still question regarding his MLS quality as he has played most of his career in Costa Rica or even lower leagues and has only represented Costa Rica twice internationally. He also struggles with the ball at his feet which means he's a liability in giving away scoring opportunities and has issues regarding his discipline. Waston’s centre back partner looks to be former Portland Timber and vastly experienced Norwegian Pa Modou Kah, who played most of his football career in Holland before trying his hand in the Middle East and now MLS. 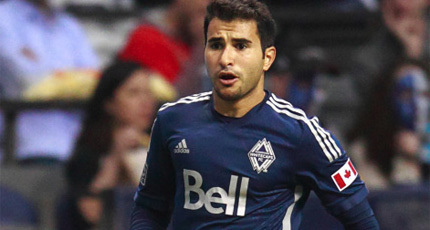 Or Vancouver could use on loan defender Diego Rodriguez from Uruguay. Both have experience, including Rodriguez with 3 years in Spain and are decent defenders, although like Waston have had disciplinary issues and neither have the calming influence or leadership of a Jay DeMerit or Andy O'Brien. If you include that Johnny Leveron and Carlyle Mitchell have also left the club centre back depth in my opinion is a concern and a real drop off from the previous Whitecaps playoff teams. I don't think draftee Tim Parker, Dean or Homegrown defenders Adekugbe or Ethen Sampson being suitable replacements, so I think it is imperative that Vancouver sign another centre back or two during the season. It wouldn't surprise most that I expect the Whitecaps to primarily play a 4-2-3-1 formation with two holding midfielders and as expected the two holding midfielders will be Matais Laba and Gershon Koffie, however, the question is do they bring enough to the overall transition from offense to defense for the team? Laba picked up from his time in Toronto and continued to prove he is a strong tackler and has great defensive awareness, even if it leads to a number of yellow and the occasional red card. He also had many touches in terms of offense with 1658 total passes, even more than Morales, although only 14 of those passes led to an offensive opportunity and Laba only took 8 shots himself with one on target. Koffie, when he played last season, was equally consistent and had a willingness to dribble with the ball, take long shots, play long balls and provide an aerial skill that Laba lacked. Although combined, the two only contributed to three Vancouver goals last season and based on their track record the similar output is expected this season. Homegrown signing Ben McKendry is a player to watch, although comparable to Koffie and Laba’s offensive output, while 2014 7th pick overall Andre Lewis could provide a greater offensive punch but hasn't proved he is capable of playing at the MLS level. The Whitecaps could also consider playing only one defensive mid in ways of improving the offense. 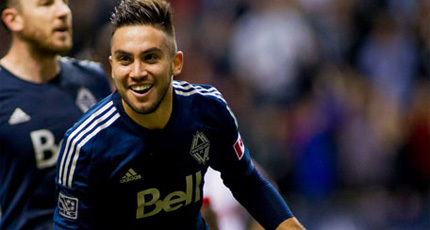 Pedro Morales was the Whitecaps MVP and many ways the league’s MVP, contributing 10 goals and 10 direct assists during the season and I expect basically the same offensive numbers from him this season. I do have some concerns that too much was expected from Morales and because of this he had too many shots and touches and like Camilo prior, the team didn't know how to react with him out of the lineup. I don't see this changing unless a player like Russell Teibert or Kekuta Manneh can make a greater impact as well as being more consistent. I felt Teibert did not progress as much as I had hoped in 2014, despite showing great passing numbers. Yet, he didn't provide enough with the ball and was also dispossessed, showed some bad control while dribbling the ball, and wasn't a threat to shoot. Kekuta Manneh has a huge amount of potential and the only thing I question about him from fulfilling this is his ability to play a full 90 minutes. I understand at still only 20 years of age and the Whitecaps are managing his minutes, although the alternative options lack the same potential output than Manneh does today. The fear regarding Manneh if he eventually lives up to his potential he'll probably be playing in Europe and Vancouver will get the credit in developing him but not the reward at least on the pitch. I question the resigning of Mauro Rosales, not because I think he is a bad player but at 34 years of age I noticed some slowing down and struggling with the game that he didn't have when he was with Seattle. He also provides many of the same assets that Morales provides in terms of crossing and set pieces. When the Whitecaps did resign Rosales it showed to me a lack of ambition from the club to find someone who can provide more upside at the same salary costs part of this could have been uncertainty of the CBA and I do expect this to be Rosales last season with the club. I'm also slightly surprised that Vancouver kept Uruguayan attacking midfielder Nicolas Mezquida, who despite still only 23 years of age, didn't show much last season and I expect the same this year and I also don't expect much from new loanee Deybi Flores. I do like the Homegrown prospects in Marco Bustos and Kainz Froese, although expect them to play more of a role with the USL team than the Whitecaps. What we can look forward to is, when Morales eventually teams up with Bustos and Manneh, the prospects of that being a very exciting midfield. 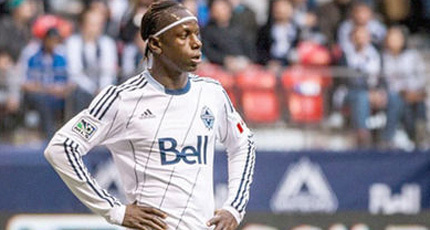 The forward duo of Octavio Rivero and Darren Mattocks provide some excitement but also many question marks and I do expect the Whitecaps to only play one upfront. Rivero has been a consistent goalscorer in both Uruguay and Chile averaging a goal every two games, although on not very high profile teams and brings similar issues that Gilberto brought Toronto, although on a much cheaper wage bill. Despite being 6'1 only two of Rivero’s 23 career goals were by header, and he is mostly known for a guy who will chase a long ball or be in the right spot in the 18 yard box. Mattocks continues to frustrate, not being able to translate his ability to goals and in many ways you almost feel he needs a change of scenery as he tries to deal with the pressure put on him at BC Place. It doesn’t appear he will be the goalscorer he was in college and the stats model doesn't expect him or Rivero to score above 10 goals this season so like the Centre Back position, this was a spot where, especially a potential DP, the Whitecaps needed to improve. Erik Hurtado and Caleb Clarke have some skills and provide minutes off the bench if needed, but in the case of Clarke I expect many of his minutes with the USL club, while Hurtado mostly used off the bench in forward or midfield role. Despite my concerns, I do predict Vancouver to make the playoffs with an estimated 42 goals scored and 43 goals allowed. I think teams who are expected to do well, such as Sporting KC, Real Salt Lake, and the Houston Dynamo, could struggle and I feel Vancouver consistency will help them throughout the season. I'm also very excited by the potential of Vancouver’s USL team and how players like Bustos, McKendry and Adekugbe develop as professional players both in MLS and USL. 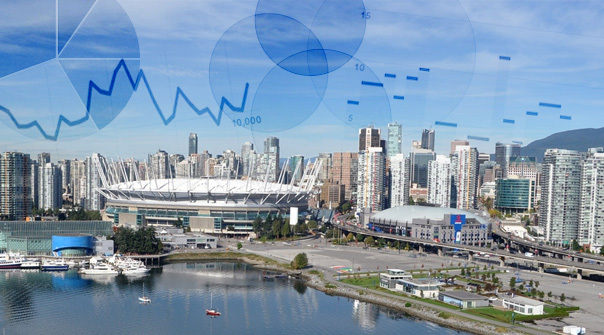 On the negative side I do think Vancouver has taken a step back from competing with LA, Seattle and even Portland and 2015 could be a struggle if the clubs around them get positive results especially against Eastern Conference clubs. I will also not be surprised if the Whitecaps make the playoffs that the game will be on the road and could be another one and done. Despite some good development stories and past success in making the playoffs it will be interesting to see if the fan base will accept a wild card spot in 2015 or expect more.